Hunter responds to the Parkland Florida high school shooting and offers ways to create change in your own life and family. ABOUT HUNTER CLARKE-FIELDS: Hunter Clarke-Fields is a mindfulness mama mentor. She coaches overstressed moms on how to cultivate mindfulness in their daily lives. Hunter has over 20 years of experience in yoga & mindfulness practices. She has taught thousands worldwide. Hunter is the creator of the Mindful Parenting course. 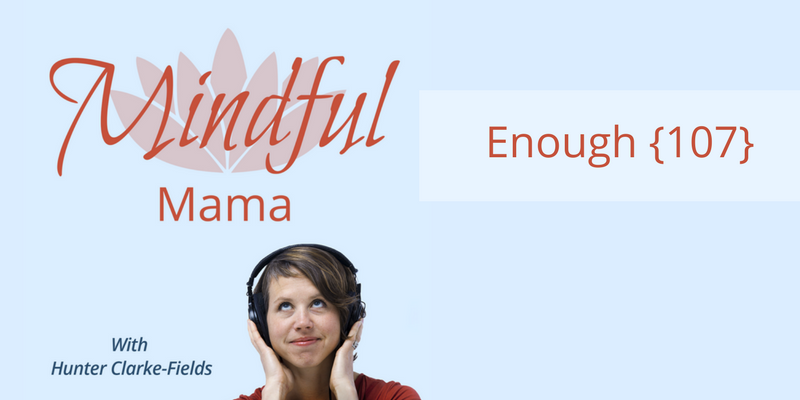 Download the audio training, Mindfulness For Moms (The Superpower You Need) for free! It’s at mindfulmomguide.com. Find more podcasts, blog posts, free resources, and how to work with Hunter at MindfulMamaMentor.com.